People generally lay carpets in rooms in the name of improving the aesthetic appeal of the said rooms. But what happens when you buy a new carpet and its ‘store smell’ won’t just go away? There is no definite answer. There are however a few measures that one can take into account so as to reduce the ‘new carpet smell’ and eventually get rid of it. One needs to first understand why the carpet smells the way it does in the first place though. First off, the carpet is an industrially processed product. The smell comes chemicals and preservatives used during the manufacturing process. There is also the fact that carpets are mostly made from synthetic materials and other chemicals like flame retardants, soil repellents, latex, urethane, artificial dyes and anti-static sprays. All these chemicals result in a kind of smell that may not be so pleasant to your nostrils. Here’s what you can do to get rid of the smell. This is of course, not a method you can use to deal with any kind of smell coming from the carpet. It is to a large extent a preventive measure. Take your time to shop for carpets that are labelled and eco-friendly. Most of them have Green Labels to indicate that they are made from bio-degradable material. These are highly recommended mostly because they have been tested in labs before mass production and distribution. 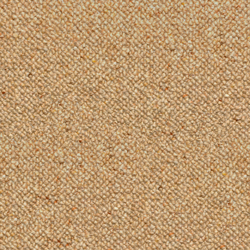 In a nutshell, the less synthetic materials used to make your carpet the better. Lay it in a shade for at least two hour before you can lay it on your floor. This will get rid of the smell as well as any hard to see pests that could have found solace in the carpet while it was still at the store. Avoid laying the carpet in direct sunlight for long unless it is wet. Rather than gluing your carpet, nail it. That is because gluing will only increase the number of harsh chemicals into the room. This may cause irritation or worsen allergies that could have been triggered by the chemicals used to manufacture your carpet. Be sure to also use a non-toxic carpet sealant as it can also go a long way to reduce the smell omitted from new carpets. Baking soda has so many uses as far as carpet cleaning is concerned. Spread some amount on the carpet then vacuum the carpet for an hour the next day. This option is particularly useful during winter and other cold seasons when it is impossible to air the carpet as explained above. Mix some vinegar and hot water to clean the carpet if you are dry vacuuming. Vinegar will get rid of the smell as it is a natural odor killer. Remember to vacuum clean the new carpet using HEPA filters so as to ensure that the air released is sterile and free of contaminants. Onion and even apples are natural odor absorbers. You can therefore soak a few apple and onion slices in the room with the new carpet is overnight. You can also place a few potted plants in the room with the carpet to help enough fresh air circulate with ease. This means that you should also make sure that there is adequate ventilation in the room. It’s possible that you can try all the above mentioned solutions but still do not achieve a desirable result. The carpet may still emit an odor that may not just be unpleasant but allergic. In such a case, your best bet will be to use carpet cleaners in Fayetteville, NC to make sure that the carpets get cleaned properly, which will actually make that smell go away.